There is nothing better than sending my children to bed at night completely worn out and with the days getting warmer and the beach on our doorstep, it is becoming a daily occurance. Rather than playing on the sand, we took the boys on their bikes down to the prom and they loved zooming up and down. 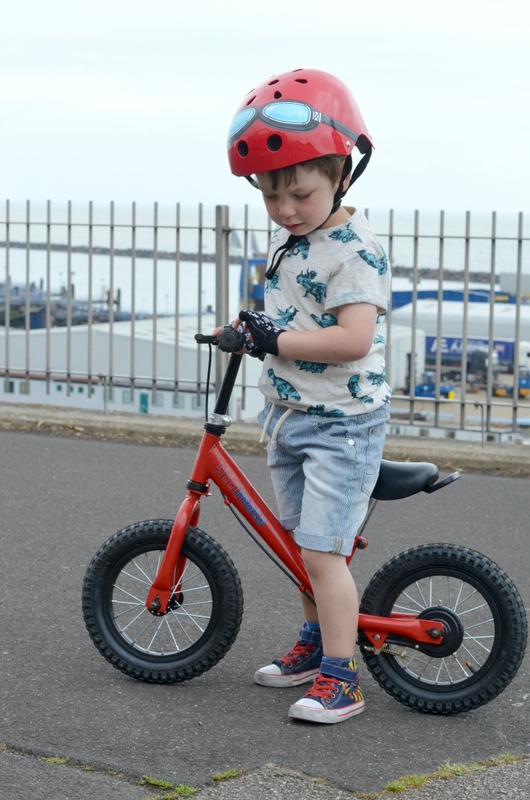 We don't really take them out on their bikes enough, they play with them often in the back garden, so they loved the freedom of the seafront. 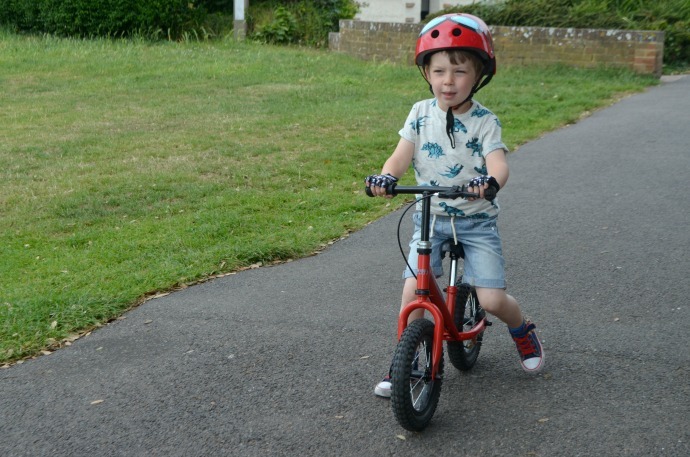 It is amazing watching his confidence grow, he has taken to the bike in his own time, but he now loves going faster down the hills and racing his little brother. 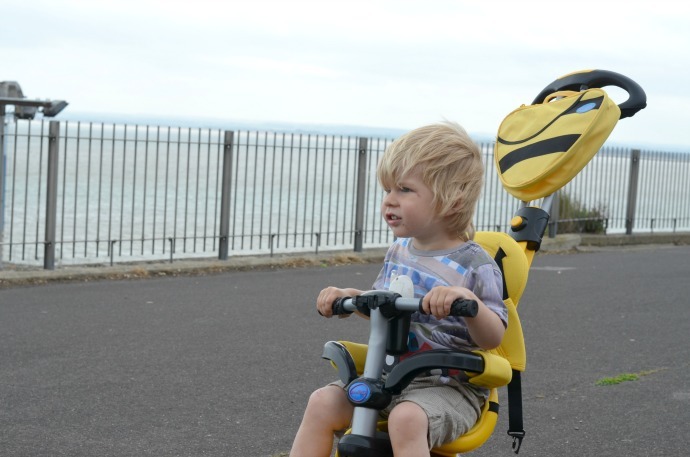 Archie is lucky enough to have two smartrikes, which means there is one in the garden with the handles taken off, and one that we take out for walks. We find it easier to have the handle on this one still as his little legs do get tired, and it is all uphill on the way home. 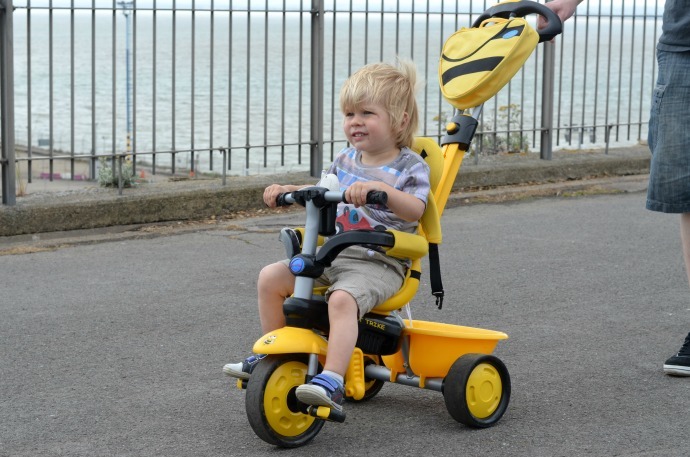 He has started learning to pedal though, and loves being able to do it himself now. 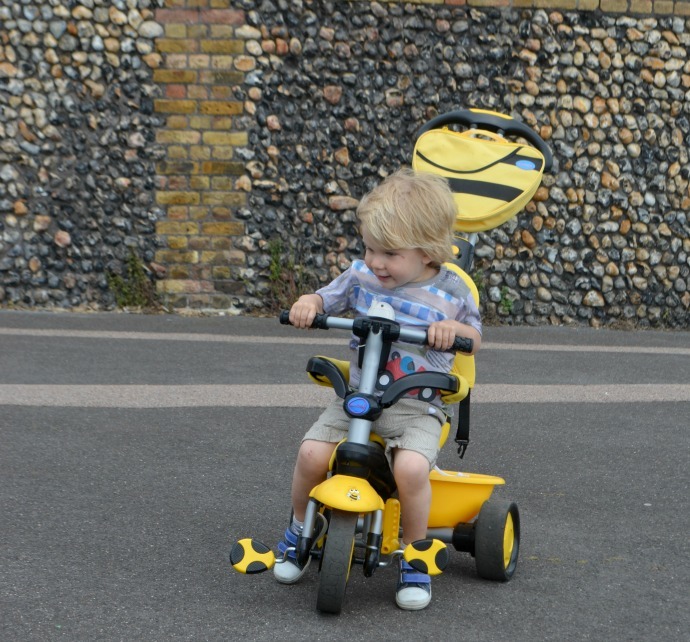 At 2 years and 4 months his legs are the perfect length for riding his smartrike and he can manage quite far. 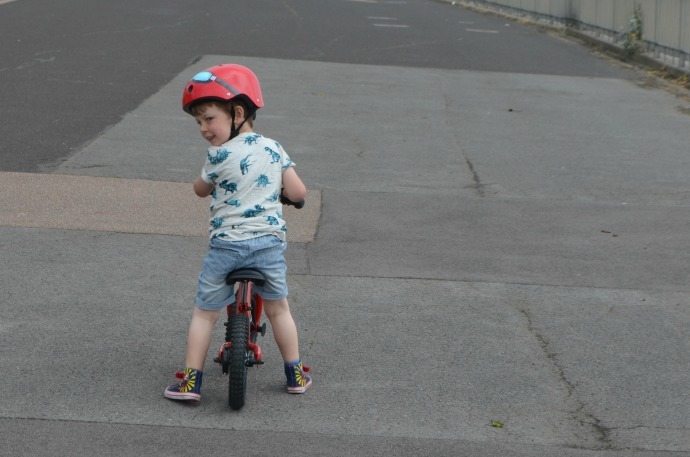 He still likes to freestyle it sometimes though, trying to copy his big brother on his balance bike. I am hoping that by the end of the summer, these two are whizzing around on their bikes as I can imagine it making the school run a lot easier come September! 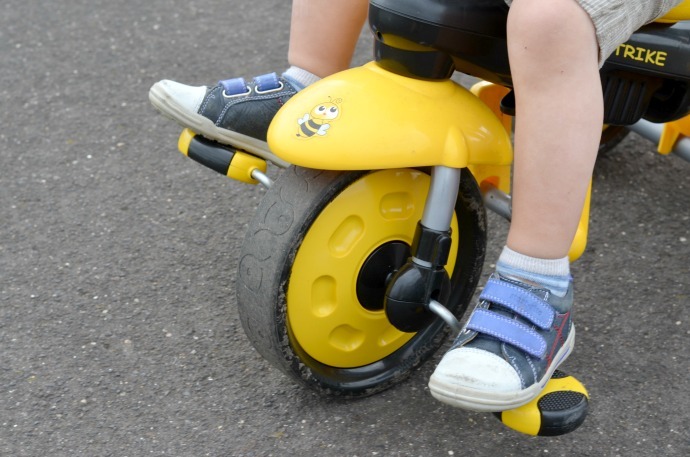 It is an awful lot easier getting Archie into a trike as opposed to a buggy and I can already predict we will be running late most mornings! Hi! It's looking is so so much excellent and all information's is educating in this bike rides.